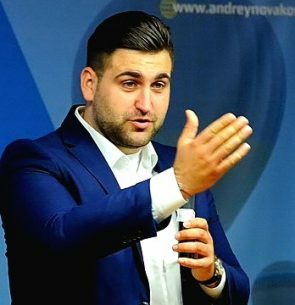 Andrey Novakov is the youngest Member of the European Parliament. His term began in November 2014. His work is concentrated in 4 priorities: EU funding instruments and simplification of EU funding; European Fund for Strategic Investments; youth employment (Youth Guarantee); EU Budget and Budgetary control. In the Committee of Regional development, he is focusing mainly on the Programming period 2014-2020. His most important initiative in the Committee of Regional development is the EU funding simplification initiative. He is also involved in the Multiannual Financial Framework (MFF) revision/ review. In the Committee of Budgets, his activities are mainly related to the EFSI regulation, Youth employment Initiative, EU General Budget 2015 and EU Draft 2016. His goal is more investment focused on results in youth employment and SMEs. Andrey Novakov has been working on numerous EGF cases and the release of financial support from the European Solidarity Fund for recovering from the damages of the natural disasters in Bulgaria and Greece during last winter. In this Committee of Budgetary control, Andrey Novakov is working for youth employment and for improvement of the current and future investment projects. He was appointed as a rapporteur and a shadow rapporteur in the field of Youth Action Teams, Youth Guarantee and EU Inland Waterways Transport. Meanwhile, Andrey Novakov is actively taking part in the Delegation for Euro-Latin American Parliamentary Assembly, where the he is co-chair in the Committee on Sustainable Development, the Environment, Energy Policy, Research, Innovation and Technology. Andrey Novakov has recently been appointed amongst the 30 most influential politicians for last year by Forbes. Entrepreneurs go to VCs for money. What if the tables were turned and investors had to pitch to entrepreneurs?